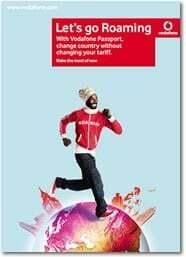 This Holiday season, Vodafone India’s post paid GSM customers traveling to international destinations can enjoy data services at most affordable rates through Vodafone Daily and Monthly Data Usage Packages. Through these Daily and Monthly Data Packs customers can pay a nominal daily rental and save up to 77% on their data usage while on international roaming. The Daily Data Usage Packages, priced between Rs 299 to Rs 1299, provide customers up to 10 MB data usage and thereafter, customers can enjoy discounted rates and save upto 27% on subsequent data usage. Additionally, the Monthly Data Usage Packages, priced between Rs 1999 to Rs 3999, provide customers up to 30 MB data usage and thereafter, customers can save upto 30% on subsequent data usage. These Daily and Monthly Data Usage Packages are available for Vodafone customers using the data services through Vodafone Mobile Connect or iPhone Access Point Names (APN) on Select Partner Networks and Blackberry on All Partner Networks where Vodafone has a Data Roaming tie-up. Customers need to SMS ACT to 111 inorder to avail the benefits on the Daily and Monthly Data Packs. *‘Daily’ here means a period of 24 hours from the time the customer starts using the Data services through BlackBerry, Vodafone Mobile Connect or iPhone Access Point Names (APN) on select partner networks.